Perhaps one of the most wildly stunning stretches of coastline, California’s central beach towns offer not only miles of pristine beauty, but also some of the most relaxing animal watching in the state. 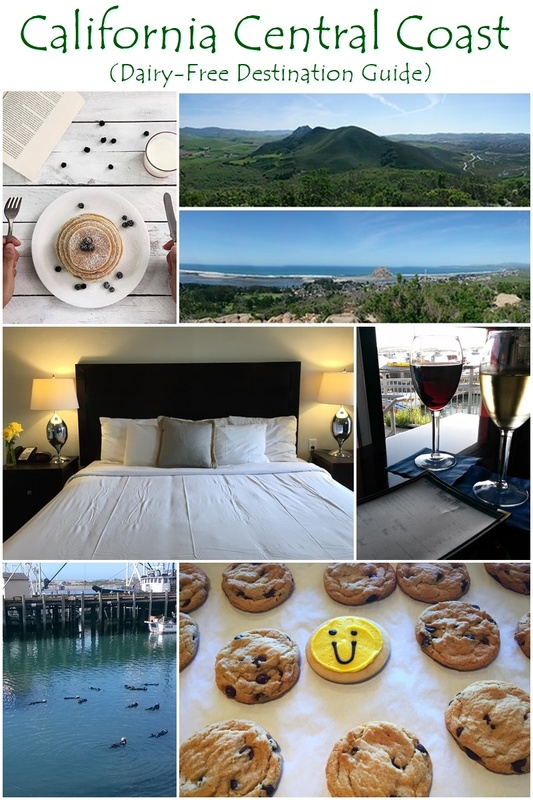 We also found the California Central Coast to be an amazing gluten-free and dairy-free destination with a fabulous “bed and breakfast” option along with ample eateries worth making a trip for. We chose Morro Bay as our home base for exploring the California Central Coast as it offers such a serene setting (the small bay is a sheltered little harbor and wildlife preserve with birds, seals, otters and squirrels sleeping and playing) with ample lodging, activity and dining options. It is a quintessential tourist meets retirement town that’s also well-situated next to another quaint seaside town, Los Osos, and very close to amenities in the University town of San Luis Obispo. 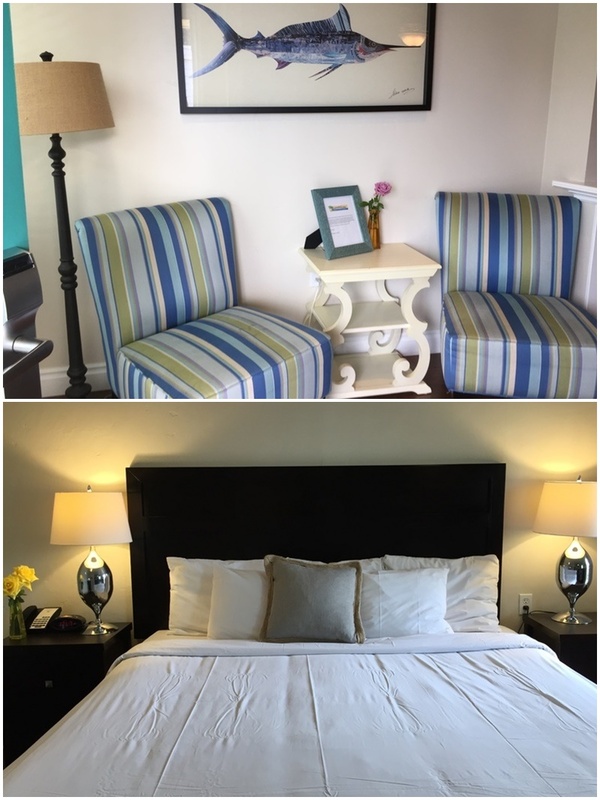 But honestly, we were a little nervous when we arrived at the Beach Bungalow Inn and Suites in Morro Bay, which we booked through Travelzoo. The exterior was tidy but seemed like a typical old-school California beach motel rather than vacation luxury. Wow were we in for a surprise. The statement-making door swept open to reveal a beautiful, spacious, modern room (it was a standard, but looked like a suite to me!) with a wonderful sitting area, an efficient fireplace that doubled as the heater, inviting linens and all the right finishing touches. For those of us on special diets, each room has a somewhat sizable mini-refrigerator (no microwave), which came in very handy. As bonuses, the family-run Beach Bungalow Inn and Suites offers complimentary bike rentals, has a very helpful staff, and they serve breakfast right to your room each morning! Their menu was exquisite and though they do disclaim that they are unable to provide a “safe” option for those with highly sensitive / severe food allergies (their kitchen is too small for a separate prep area), they are still as accommodating as possible with special diet requests. They use local, high quality ingredients, including the best breads and organic eggs. Tony ordered an omelette each day (for his gluten-free needs) and I went with the dairy-free version of their bagel with lox (the salmon was so good!) – they were happy to check ingredients and hold the cream cheese while providing extra goodies, like tomatoes, capers and onions. Fresh squeezed juice was also available, along with tea and coffee options. The Rock Espresso Bar (Morro Bay) – Finding the best spot for coffee and tea is always a priority when we travel. All of the coffee shops in Morro Bay seemed to offer dairy-free milk beverages, but we gravitated toward this one for the extra touches. They have packaged goodies from local companies on hand, including the Big Yummy Brownie by Wholesome Chow, Modern Oats Cups and Vbars – all are vegan and gluten free. For drinks and coffee beverages, they have pure iced coffee on tap (no dairy! ), can sub in soy, rice, almond, or coconut milk beverage, and their fruit smoothies are 100% fruit concentrate (no added sugar either!). All of the food on their menu is made to order so “no cheese” is an easy request, and they are adding a vegan protein shake to the menu using a pea, rice, and cranberry protein blend. The Rock also provides free internet and computers for customer use! And oh yes, the coffee and tea (Art of Tea) was pretty darn good. Galley Seafood Bar & Grill (Morro Bay) – This restaurant (open for lunch and dinner) was recommended to us by the staff at Beach Bungalow Inn & Suites as the best in town and accommodating to special diet requests. It turned out to be a good pick. Our waitress was very knowledgeable about the menu items and substitutions needed for both my dairy-free needs and Tony’s gluten-free needs, making ordering a breeze. The food was indeed fresh and flavorful, too, and the atmosphere was the perfect mix of casual and fine dining. Dutchman’s Seafood House (Morro Bay) – It was hard to resist the “best happy hour in town” at this ocean view eatery. The dining area offers an amazing overlook for lunch and dinner, but the open and airy bar area (where the happy hour is served 7 days a week) also has ample sneak peeks of the water. The waiter (who’s wife had been dairy-free) was more than happy to check with the chef on which menu items fit our dietary needs. We were each able to enjoy a couple happy hour specials, including crab cakes and fish tacos that were made without dairy! Shine Cafe and Sunshine Health Foods (Morro Bay) – A vegan cafe connected to a small natural food store for vacation provisions, what more could we ask for? Shine serves lunch daily and breakfast on weekends with a focus on local and organic ingredients. All menu items (salads, sandwiches, entrees, tofu scrambles and more) are plant-based and include many gluten-free and soy-free options. They also have a juice / smoothie bar. The health food store is not strictly vegan, and it’s a little pricey, but for convenience, they do offer numerous dairy-free foods. Krava Bowl (Morro Bay & Avila Beach) – The acai bowls at this casual spot are HUGE! For a nourishing morning meal they also offer Breakfast Bowls (warm quinoa, steel cut oats and chia seeds with almond milk), smoothies and bottled cold-pressed juices (also great for a refreshing afternoon recharge). Sweet Alexis Bakery (unfortunately now CLOSED) – I’m so mad at myself for missing a stopover at this bakery! Known nationwide as a fantastic dairy-, egg- and nut-free bakery, Sweet Alexis offers all types of daily goodies – cookies, breads, cupcakes – as well as seasonal / holiday specials. Nichols Pizza (Los Osos) – When comfort cravings strike, this family-friendly pizzeria offers dairy-free cheese (their regular pizza dough is vegan) as well as a house-made gluten-free crust option and gluten-free beer. Mama Ganache (San Luis Obispo) – Crafting 100% organic and fair trade artisan chocolates, Mama Ganache also serves dairy-free chocoholics, too. They’re open daily and usually have vegan truffles, caramels and chews available. Bliss Cafe (San Luis Obispo) – This popular spot has wonderful outdoor seating, a smoothie / juice bar, and high-quality bistro-style food that is amazingly all vegan. The lively menu boasts billowing salads, hefty sandwiches, burritos, tacos, bowls and light bites for kids. There are numerous gluten-free options (labeled right on the menu). It’s open daily for late breakfast, lunch, and dinner. Big Sky Cafe (San Luis Obispo) – Well-loved by locals, this busy restaurants serves breakfast, lunch and dinner daily. Their menu is eclectic in cuisine (from dishes of the deep South to the Far East), but centers around the concept of sourcing the best local and organic fresh food. The menu has a label for vegan and wheat-free items (of which there are many – including a Seasonal Fresh Fruit Crisp for dessert! 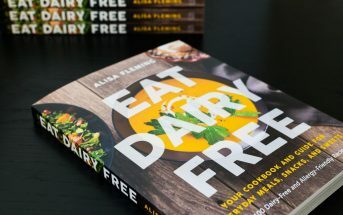 ), and many more items appear to be dairy-free – just ask! Novo Restaurant & Lounge (San Luis Obispo) – Out of over 200 restaurants in the town, Novo is rated #1 by diners on TripAdvisor. 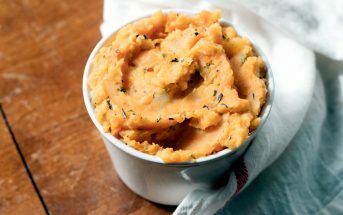 And yes, the best restaurant in town is also a great place to find dairy free eats. They cater to special diets, labeling gluten-free, vegan, and “options” for both right on the menu. Like Big Sky Cafe, the menu is a mix of “world cuisine” but with a bit more of a traditional feel. Food is served all day, every day, and they are reportedly a great spot for cocktails. Plus, I must mention, they have house made sorbet and vegan olive oil cake on the dessert menu. SLO Farmers’ Market – They have a few weekly days/times and locations (see the link), but the Thursday night Farmers’ Market in San Luis Obispo (if you’re in town) is a local festivity with food, entertainers and local goods. Montana de Oro State Park and Elfin Forest Preserve – We didn’t make it to the beautiful parks of Los Osos, which are just south of highway 1. But I recommend you hit them up, as they offer stunning views, interesting nature, and are off the beaten path from the usual tourist bustle. 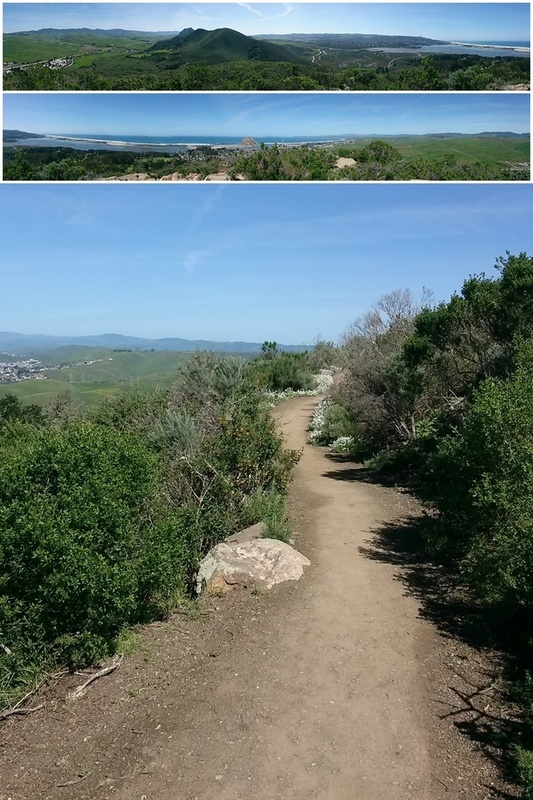 Morro Bay State Park – Probably the easiest summit you will ever peak with the most amazing views, you can almost count the amount of steps it takes you to get to the top of Black Hill for astonishing 360º views from a single spot (panoramic pictures below). Morro Bay State Park has some other light hiking, too, which winds around a nice, hilly gold course. Morro Bay Museum of Natural History – This quirky little museum is set on a scenic estuary for viewing the wildlife outdoors after learning about it indoors. 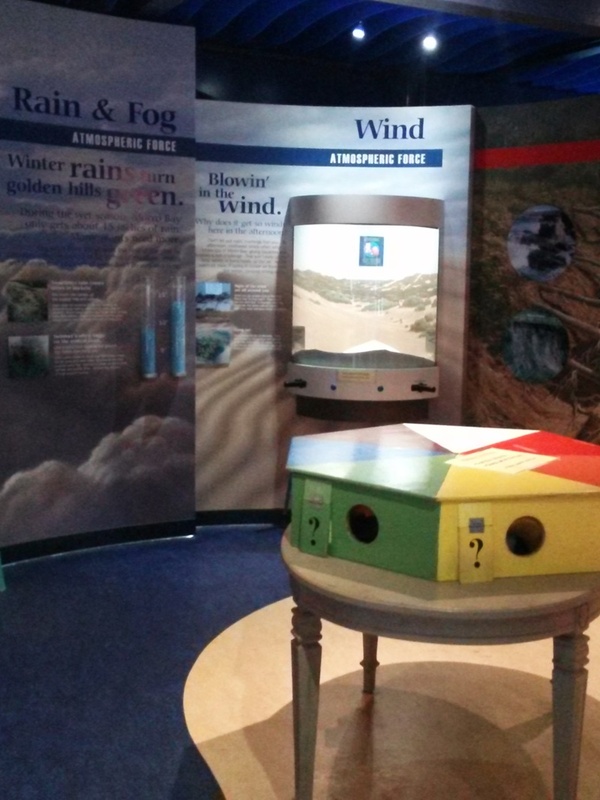 Nearly every exhibit is interactive, making it very fun for kids, though we adults found in entertaining, too. Entry for adults is very inexpensive and free for kids under a certain age. 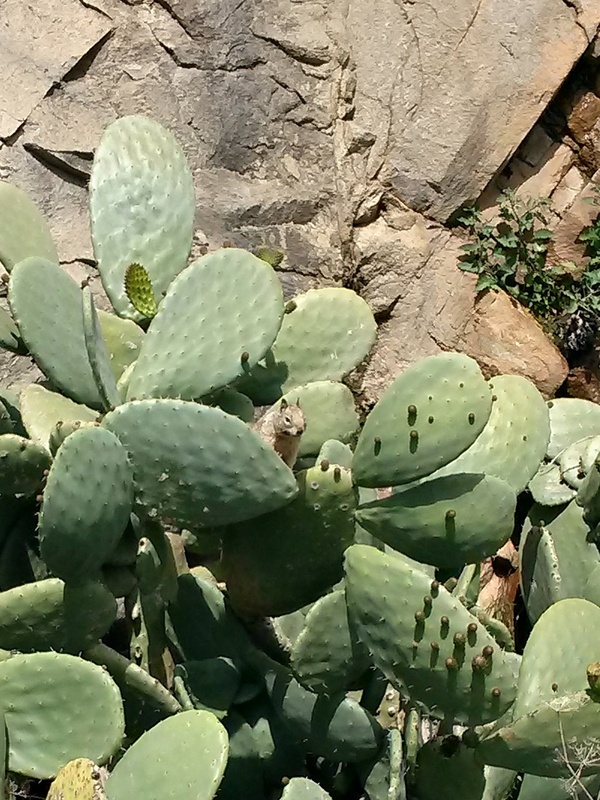 … countless birds, and even the elusive cactus squirrel. 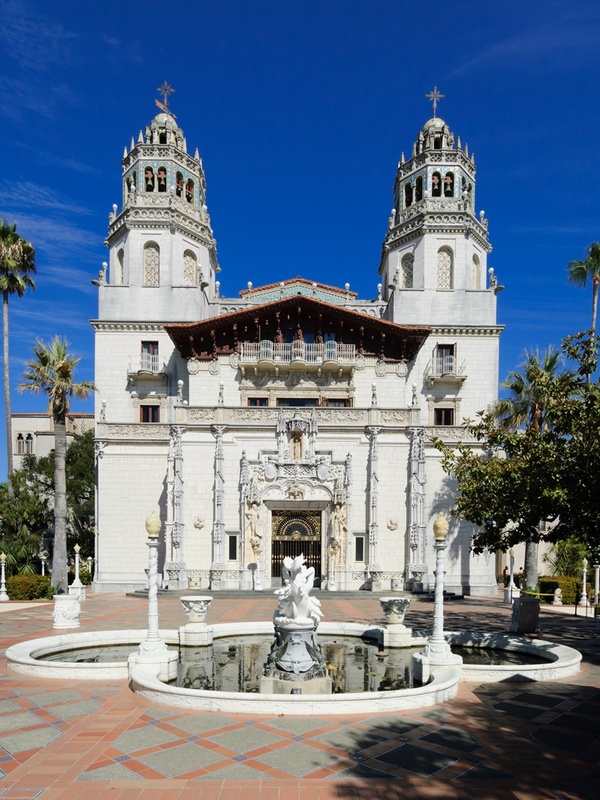 Hearst Castle – Reached via the small town of San Simeon, this enormous estate is truly something. Tours run daily, and though a little pricey, we thought it worthwhile. After all, it isn’t often that you get to see a castle in North America. 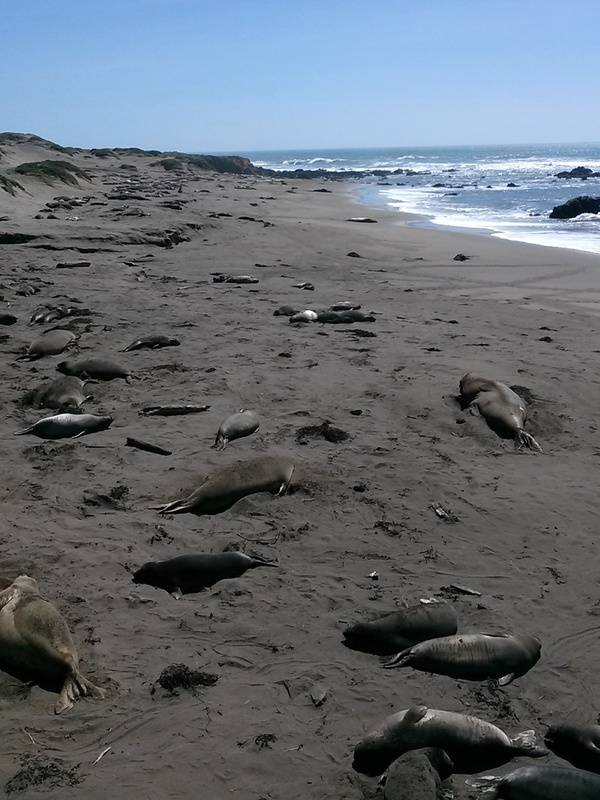 Piedras Blancas Elephant Seal Rookery – If the kids are clamoring to see a seal, take them to this looong stretch of beach – they’ll get their fill for life. It’s basically a simple, natural viewing area (perfectly situated to avoid disturbing the wildlife) where you will see hundreds, perhaps thousands of seals sunning, sleeping, burying themselves in sand, and flopping their giant bodies around. Yes, they’re all alive in that picture below, I promise! Also, we stuck mostly to hiking, but the California Central Coast is also great for kayaking, paddle boarding, biking, golfing, whale watching, boat tours, beach-combing, and aquarium-hopping. What Are Your Favorite Spots and Dairy-Free Eats on the California Central Coast? Hi Michelle, that does sound tricky with mast cell disease in the mix, but the San Juan Islands are quite friendly. I wish I had some specific recommendations for that area, but will put it on our list. I hope that you do find some great options – it’s such a beautiful area so I know the trip will have a lot to offer you! I LOVE this post! It totally makes me want to travel to the California coast!!! Looks like you had an amazing vacation. I follow Sweet Alexis on social media and would have loved a review! Next time! 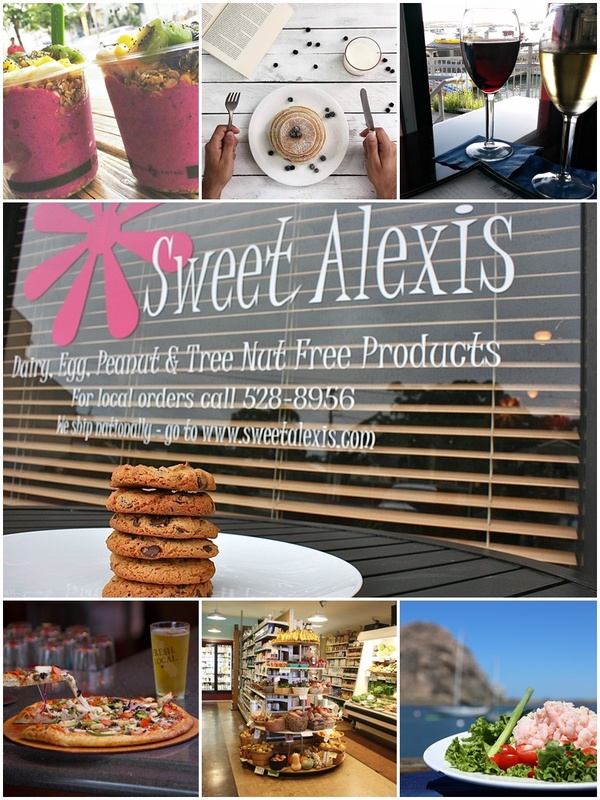 Yes, we’ll make it a point to get Sweet Alexis goodies on here one way or another! Sounds like you did a lot of exploring! I hope you had a great time! I wish we’d had longer to explore actually – it’s such a beautiful stretch of nature and surprisingly good food! I am so sorry we missed you! This area is amazing…beautiful and friendly. 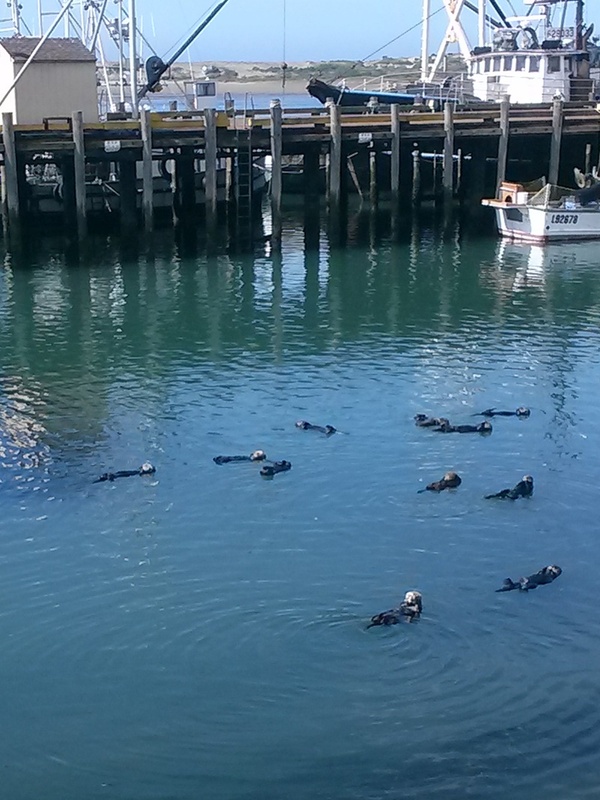 The picture of the sea otters….that is where Alexis and her friends “pier jump”. Next time do let us know you are in town, we would love to see you! I use to live an hour away from San Luis Obispo but I don’t think I ever went to Morro Bay. I really missed out. Got to add it to the list of places to visit. Wow, and so close, too! Well, hopefully you make it back for an adventure some other time – it really shouldn’t be missed! Sounds like a great vacation! I really enjoy a central coast getaway now and then, it’s such a beautiful area that I don’t take advantage of enough. I have been to Morro Rock and the tidepools are delightful when you least expect it. It really is such an amazing area. You are probably overdue for a getaway, too, Sharon! Wow, it all looks so lovely and so much to do! What a fabulous warm-weather getaway! It really is an amazing area to visit and actually a cool-weather getaway in summer! Morro Bay is one of my favorite places in ALL of California, and that’s saying something since that is where I am from. There is great food and wonderful site. You had a great trip. Not surprising, it really is such a peaceful and beautiful place! some of our favorite road trips have been along the California coast. it has been a few years since we have done this, now I have new spots to visit! Wow, what a fabulous trip recap, Alisa! Now I want to visit all those spots! Love that there are so many gf/df friendly spots!